With the use of blockchain technology and augmented intelligence, Crafty will disrupt and decentralize the self-employed industry! 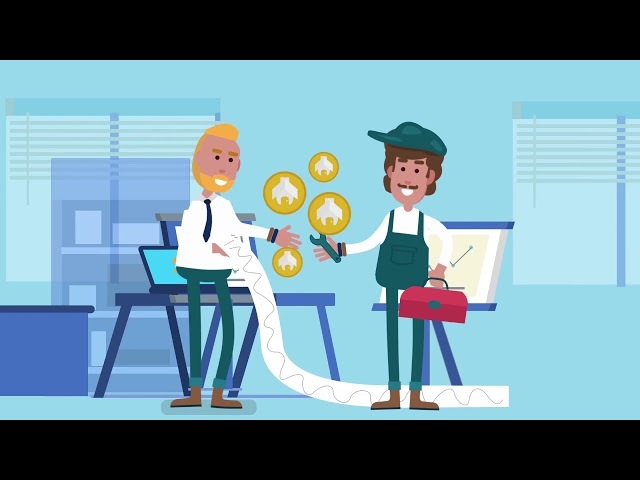 Our mission at Crafty is to tokenize the self-employed industry and create a new and revolutionary ecosystem for self-employed workers and their customers, based on the power of reputation as value and currency! 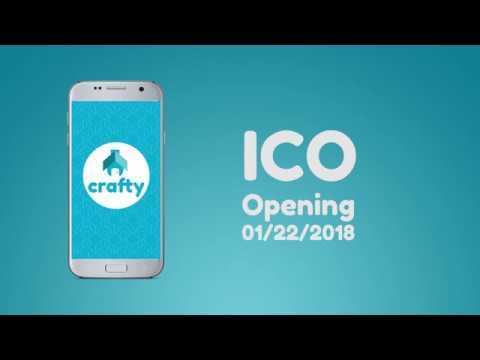 Crafty is a decentralized and free platform with the mission to tokenize the self-employed industry and create a new and revolutionary ecosystem for the self-employed workers and their customers, based on the power of reputation as value and currency! 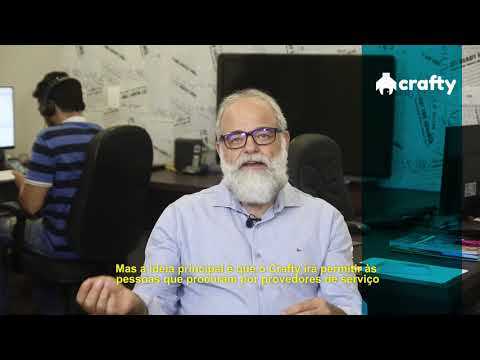 Crafty's MVP, Diaríssima, has been successfully operating for almost 2 years in Brazil. It is present in 170 cities and has over 30,000 registered users. Our users will be rewarded with CFTY with each new evaluation provided, and will be able to use their earned CFTY tokens to pay for services and products from our partners offered within the platform, ensuring currency circulation. Our business model is based on a U.S. patented pending Artificial Intelligence system, where each interaction and evaluation of jobs done are transparently registered in the blockchain. We are different! We are decentralized and we are free for our users to join and use our platform, making our customer acquisition much easier. We are currently changing lives for better for almost 2-years by taking off middlemen and directly connecting people. Our first target market, Brazil, has over 23 million self-employed workers and is a $200 billion dollars market. It's all simple, direct and transparent. Our proposal is to promote the network and increase the value of reputation. In addition, we remunerate the user's participation. Clients are looking for service providers of many specialties in the database. Crafty will recommend professionals that most fit with the client’s demand. Both parties have complete freedom to negotiate prices and dates. On the scheduled date, the service is provided and paid directly to the professional using CFTY tokens or fiat. Users will have advantages by using CFTY instead fiat. After the job done, client and contracted professional evaluate each other being rewarded with CFTY tokens for this. The users will be able to use their CFTY tokens to pay for services or buying products of our trading partners through the Crafty platform. AI will help to offer products or services that really matters for users, of course, from our selected business partners. Our MVP, Diarissima, was the product developed to test our company’s business model and serve as the basis for Crafty. Diarissima is already present in 170 cities around Brazil and has over 30,000 registered users. Series of explanation videos about our concept, business model, monetization, patent and a lot more. A lean, dynamic, experienced and totally dedicated team. Graduated in Computer Networks, former CEO of technology companies group, entrepreneur and investor in Diaríssima and scholar of cryptomoedas. Economist, specialist in Knowledge Management, Logic Frame projects and Public Finance. Master of Science in Computer Science, researcher in AI, computer vision, deep learning and algorithm analysis. Graduated in Computer Science, postgraduate in Information Security, DBA and infrastructure analyst. PhD in Computer Science, focusing on researching facial expressions on video using deep learning (TensorFlow and Python). Assistant professor in AI topics, software quality, algorithm and data structure. Lawyer, Specialist in International and Commercial Law, specialist in legislation of digital communication, lecturer. Singer and composer of the pair Munhoz & Mariano, partner-entrepreneur, investor and ambassador of Diaríssima. Social Worker, Bachelor of Social Work, Postgraduate in Economics and Development, Postgraduate in Development Humans; Mg. Integral Project Management. Project Management Professional, Diploma in Applied Territorial Innovation; Diploma in Sustainable Territorial Development. Experience developing Android and iOS mobile applications and back-end applications in Rails. Development experience with more than 3 years. Graduated in Web Systems Development, postgraduate in Software Engineering, Systems Analyst. Copyright @ 2017-2018 crafty.work All rights reserved.